Pam Reynolds near death experience is considered by many to be proof of the reality of the survival of consciousness after death, and of a life after death. This is a near death experience report which has gained enormous international popularity since its first publication by Dr. Michael Sabom in his book Light & Death in 2008. So what is her story? Pam Reynolds was 35 years old in 1991 when she was diagnosed with a giant aneurysm of the basilar artery. A personal disaster. Having such an aneurysm is like walking around with a bomb in your head - it may rupture and bleed at any moment, destroying the adjacent brainstem and causing death. Removing such a giant aneurysm is tricky, and this was at a location which was also difficult to approach. An eminent neurosugeon called Dr. Spetzler, successfully operatively removed the aneurysm during 1991 using a technique called "hypothermic cardiac arrest". This made it possible to remove the aneurysm without excessive blood loss, as well as protecting the adjacent brain tissue from damage. Hypothermic cardiac arrest employs extreme lowering of body temperature combined with temporary stopping of the heart (cardiac arrest), and is a technique which has been successfully employed since the 1950's (see articles by Pretre 2003, Hirotani 2006, Matalanis 2003, Chong 2004). Hypothermic cardiac arrest meant Pam Reynolds would be clinically dead for part of the operation. While apparently unconscious under general anesthesia, Pam Reynolds underwent a remarkable out of body experience as well as a profound near death experience. During her out of body experience she made several observations of events occurring around her body, words spoken in the operating theater, and saw some of the instruments used during the operation. All these observations were subsequently verified to be true. Three years later during 1994 she came into contact with Dr. Michael Sabom, an Atlanta cardiologist, who published her story during 2008 in a book called Light & Death. Look at a highly romanticized and visually impressive account of Pam Reynolds experience on the video below. This turned out to be a rather more extensive website than originally planned, so here is an index of links to sections of this website. Why did Pam Reynolds go to the Barrow Neurological Institute? Why was Pam Reynolds referred by her physicians to Dr. Spetzler, an eminent neurosurgeon who was working at the Barrow Neurological Institute during 1991? The answer is easily found. Such basilar artery aneurysms are rare, technically difficult to operate, and associated with a high mortality. Dr. Spetzler was one of the few world experts in this type of operatieon. Sr. Spetzler and his associates had published a series of 7 successful operations performed upon giant basilar artery aneurysms using "hypothermic cardiac arrest" during 1988 (Click here to read the 1988 article of Dr Spetzler). So when Dr. Spetzler performed the operation upon Pam Reynolds during 1991, he had performed at least 7 such operations before. Prior to any type of operation, a surgeon must obtain informed consent from the patient. This is especially important when udertaking a potentially life-threatening procedure, as in the situation of Pam Reynolds. The surgeon must inform thew patient about the nature and purpose of the operation, the expected benefits, and the expected risks. This is standard now, and was also standard, legally obligatory medical practice in Arizona during 1991 (Click here to read more about the principle and legal obligation of informed consent). So Pam Reynolds would have known quite a lot about her future operation prior to her arrival in the operating theater. So not only must Pam Reynolds have known quite a lot about the operation prior to undergoing it, but there is another major problem confronting those claiming this is truly proof of the reality of a separable immaterial mind. This problem is the difference in time between undergoing the operation, and reporting it to Sabom. Pam Reynolds underwent her operation during 1991. Michael Sabom first read the details of her experience during 1994. There are a few more points related to this time interval. As Sabom stated, he did receive the anesthetic and surgical records from the Barrow Institute. This informed him about the procedure, type of anesthesia, etc. Now what is surprising, is the fact that if her story was so inexplicable, and so amazing, that no one bothered to publish a case report in a popular or scientific journal. Spetzler certainly never published an account of Pam Reynolds experience under his name in any scientific journal. Was this because of fear of ridicule about publishing a "mere hallucination", or anxiety about acknowledging a case of anesthetic awareness? Public acknowledgement of Spetzlers's involvement, and his personal involvement in this account, only appears to be present after the publication of this story by Sabom in 1996, after which there was a good deal of public interest in her account. Very curiously, all popular writers on this matter totally ignore these facts. But this is not all. Pam Reynolds could have had confirmation about the veracity of her observations at some time during this three-year interval. And this is indeed what occurred. Pam Reynolds mentioned hearing four veridical sounds. The sound of the drill that awoke her. The sound of the saw cutting through the skull between the holes made by the drill. The cardiothoracic surgeon stating that one of her arteries was too small for the cardiac bypass tubing. The music of "Hotel California" as they were closing her surgical wounds. So how did Pam Reynolds get confirmation? The anesthetic and surgical information would have confirmed the use of the drill and the saw. It would also have confirmed the necessity to use another artery for the cardiopulmonary bypass. Pam Reynolds would have seen the wound for bypass tubing on the side other than that planned and explained beforehand. But the words of the cardiothoracic surgeon would not be part of the medical record. Neither would the fact that the music of "Hotel California" was played while her surgical wounds were being closed been noted anywhere in the medical records of her case. Pam Reynolds could have confirmed these veridical aspects of her experience shortly after the event by talking about her experience to her physicians, the anesthesiologist, or the anesthetic and operating theater nurses present at the time. And indeed, her physicians at the time confirmed all these details at the time, as was revealed in her last interview. Furthermore, their reactions indicated they were possibly worried about medicolegal consequences resulting from what they believed to be a period of anesthetic awareness. See this extract from Pam Reynolds last interview. Reading these passages, you realize immediately from the sentence: “ They did not seem to find it funny and they hardly dared to look at me�” that her physicians simply suspected anesthetic awareness and were worried about possible medicolegal action. So took the best possible course of action in situations where medicolegal actions might be instituted—they were empathic and honest, and informed her that her veridical observations were real events made during a period of awareness. Notice that Pam Reynolds reported that her physicians did not talk about wondrous paranormal explanations. They just stated her veridical observations were real. The conclusion is obvious. Pam Reynolds learned of the reality of her veridical observations shortly after surgery. This raises another curious point. She would have told Sabom about how she came to know of the reality of her observations—yet Sabom ignores this totally in his account of her NDE report—as do all other subsequent accounts of her experience. Very curious indeed. Nonetheless, I will ignore the above facts in the following study of her case, and assume for the sake of argument that it all happened more or less as described in Chapter 3 of Light & Death. So let us proceed on a voyage of elucidation using the instrument of a timeline. Despite several deficiencie, chapter 3 of Light & Death is a reasonably accurate account, and contains enough information with which to explain this quite astonishing story. Furthermore, being the first report of this story, it also has the advantage of being free of the inaccuracies, contaminations, and outright fantasies now circulating as a result of the telling and retelling of this story. If you carefully examine the account of her experience in Life & Death (Sabom 1998, pages 37-51) you can construct just such a timeline. Pam Reynolds arrived in the operating theatre. An intravenous line was inserted. General anaesthesia was started. Pam Reynolds was now unconscious under general anaesthesia. Invasive monitors of vital body functions were inserted. This is often done after starting general anaesthesia because insertion of such monitors can be painful or uncomfortable. Electroencephalogram electrodes were attached to monitor her brain electrical activity. Closely fitting earplugs, with speakers were inserted into both her ears so as to administer clicking sounds for measuring her brain response to clicking sounds (Brainstem Evoked Potentials = BAEPs). Her head was fastened firmly to the operating table with a three-point head fixation clamp. This clamp prevents small movements of the head that would otherwise make using an operating microscope impossible. Her head was shaved, and her body draped for operation. Pam Reynolds' body temperature and heartbeat were normal throughout this period, and she received artificial respiration with a machine. Wow! Propose this "anesthetic" procedure to anyone experienced with neuroanesthesia and they will begin to laugh hysterically and uncontrollably. After recovering, and changing their soiled underwear, they will ask if you are mentally entirely in order, and proceed to tell you that this is an absolutely sure-fire way to get a giant aneurysm to burst and bleed. This is one of the inconsistencies in the otherwise quite reasonable report of Sabom, and is almost certainly a product of unfamiliarity with anesthesiology. The 1988 article of Dr Spetzler and his colleagues provides an reasonably accurate discussion of the anesthetic procedure and drugs used - thiopental, vecuronium, nitrous oxide, isoflurane, and sufentanil (see page 870 in the 1988 article by Spetzler). These drugs were still in common use up till the year 2000 (personal practice experience as anesthesiologist during this time period). Was Pam Reynolds under "burst suppression" during all her operation? "Burst suppression" is a condition of the brain during which the electroencephalogram is flat for periods of time varying from several seconds to longer periods. Consciousness is definitely absent during burst suppression. This condition is often induced by higher doses of several drugs, among which, a continuous infusion of the drug Thiopental, as was employed during the Pam Reynolds operation during 1991. The reason for doing this with thiopental during such operations was to induce a situation of lowered metabolism that protected the brain from damage during periods when blood vessels supplying parts of the brain are clamped shut. Anesthesia awareness, and conscious experiences such as anesthesia awareness, OBE's, and NDE's are impossible during periods of burst suppression. So did Pam Reynolds receive a thiopental infusion to induce burst suppression during the whole period of her operation? An answer to this question reveals whether her reported conscious experiences were possible. This passage answers the question of whether Pam Reynolds was subjected to burst suppressive doses of thiopental during the whole period of her operation. We know from the book written by Michael Sabom, Light & Death, that she was brought conscious into the operating theater at 07:15 hrs in the morning, and left while under anesthesia at 14:10 hrs in the afternoon. This is a period of 6 hours and 55 minutes. This is the first important fact. The second necessary piece of information is provided by photographs of Pam Reynolds. These reveal a woman with a body weight of about 60-65 kg. Using this information and the dosage schemes of Dr. Spetzler, we can do the following simple calculation. Pam Reynolds weight = 60 kg. Administration at rate of 0.2 mg/kg/min = 60 x 0.2 = 12 mg per min. A total dose of 21 mg/kg = 60 x 21 = 1260 mg. So the duration of the Thiopental infusion = 1260 / 12 = 105 minutes. 106 minutes = 1 hour and 46 minutes. Duration of Pam Reynolds operation was = 6-7 hours. This means that even allowing for statistical variation in total thiopental dosage, that Spetzler is actually stating in this article that the thiopental infusion for burst suppression was only employed for a relatively short period during operations performed on patients undergoing operations for giant basilar artery aneurysms. So if the thiopental induced burst suppression was not administered during the whole of the operation, during which period of the operation was thiopental burst suppression employed? Other writings of Dr. Spetzler over several years prior to, and after the operation performed on Pam Reynolds during 1991, provide the answer. And this answer is that thiopental induced burst suppression is started shortly before clamping blood vessels supplying parts of the brain with blood. I will quote from several articles co-authored by Dr. Spetzler and his colleagues confirming this fact. These articles confirm the same fact. The timing and methodology of thiopental administration is confirmed in another article written by the another neurosurgeon [Michael Lawton] trained in the Barrow Institute at the time of Pam Reynolds operation. Han, P.P., Brent O'Neill, B., Spetzler, R.F., (2003), Surgical Management of Giant Arteriovenous Malformations. 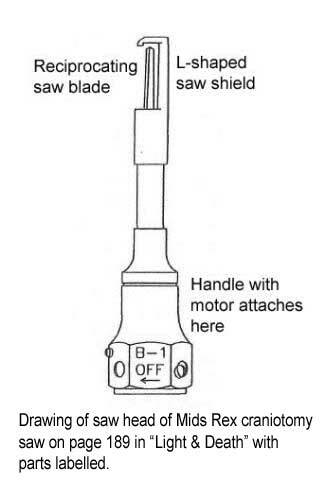 Operative Techniques in Neurosurgery, 6: 95-99. Lawton, M.T., Raudzens, P.A., Zabramski, J.M., Spetzler, R.F., (1998), Hypothermic Circulatory Arrest in Neurovascular Surgery: Evolving Indications and Predictors of Patient Outcome. Neurosurgery, 43: 10-20. Spetzler, R.F., Hadley, M.N., Rigamonti, D., Carter, L.P., Raduzens, P.A., Shedd, S.A., & Wilkinson, E. (1988). Aneurysms of the basilar artery treated with circulatory arrest, hypothermia, and barbiturate cerebral protection. Journal of Neurosurgery, 68: 868-879. Young, W.L., Lawton, M.T., Gupta, D.K., Hashimoto, T., (2002), Anesthetic Management of Deep Hypothermic Circulator Arrest for Cerebral Aneurysm Clipping. Anesthesiology, 96: 497-503. All these articles say the same thing. Thiopental induced burst suppression is started shortly before clamping blood vessels supplying parts of the brain with blood. The implication of this is evident. It means that Pam Reynolds could have undergone periods of anesthetic awareness which would explain her veridical experiences. Ears covered with: Micropore tape and cotton gauze. I am the lead IONM practitioner at Barrow Neurological Institute (where the surgery was performed). I was a lead technologist back then, and am most familiar with the technical parameters that were used. I was actually monitoring a case in the next operating room when my colleague monitored the case in discussion. The auditory stimuli in the ipsi ear was a broad based frequency spectrum click. . . . We stimulated at a rate of 11.3/second with a pulse duration of 100 microseconds. The contralateral ear was masked with 40�60 decibel white noise. We used Hal-hen brand ear pieces (probably size 5) to introduce the stimuli, which was generated by a Nicolet brand T-300 audio generator. We then used vi-drape sticky �glue� on the inner area of the pinae of the ear, before sealing up the system with gauze and micropore tape. I know how loud we played the music in those operating rooms (we have new operating rooms now) and I know the individual team members and how loud their voices are. I would be surprised if a repeated experiment with the exact parameters allowed a person to hear through the stimuli. Of course none of this information is a scientific argument for the fact that she did or did not hear: what is need is an experiment. Now at least you have the correct parameters to determine if one can hear externally during auditory stimulation if you re-run the experiment. This provided more information about the exact stimulus parameters as well as the earplugs and covering of the ears. What he states here is that the stimulus paranmeters were as Spetzler and Raudzens described them during 1988. This snippet also tells us about how these stimuli were administered. The functioning of Pam Reynolds brain was performed with the latest technology available in 1991, and consisted of the following three monitoring modalities (see page 868 in Spetzler (1988)). Electroencephalogram (EEG) to monitor the depth of anesthesia, and the effects of anesthetic drugs. Brainstem Auditory Evoked Postentials (BAEPs) evoked in the brainstem by the clicking sounds were used to determine whether the nerves going from the ears to the brainstem were not damaged or affected by the operation performed in this region. BAEPs are totally insensitive to the effects of anesthesia, and are not a measure of the depth of anesthesia. Somatosensory evoked potentials (SSEP's). The SSEP is a more specific response of intact sensory pathway conduction that persists despite barbiturate-induced EEG burst suppression. Even so, and unknown to her physicians, Pam Reynolds underwent a typical awareness experience during her operation. Why were Pam Reynolds periods of awareness not signaled by the EEG monitoring at the time she was able to observe what was happening in the operating room, or during her out of body experience? After all, both the awareness and the out of body experience are conscious experiences, and can only occur in a conscious brain. The embarrassing and humbling truth is that these monitors of consciousness are not 100% reliable. Measurements such as these are affected differently by the various different drugs used during anesthesia, as well as by changes in body temperature. This is why some people are conscious, even though modern apparatus measuring the MLAEP or BIS say they are unconscious (see articles on reliability of monitoring depth of anesthesia by Avidan 2008, Bruhn 2006). This is why professional associations of anesthesiologists in nearly all countries, (including the USA), while acknowledging the utility of these measures of consciousness, always recommend they not be relied upon 100%, and that anesthesiologists must also use experience and common sense to guage the level of consciousness (see extensive review and recommendations in ASA 2006). Why did Pam Reynolds not report hearing the clicking sounds? The neurosurgeon began the operation. A scalp incision was made, and the skin covering her skull retracted. A pneumatic bone saw was used to remove a piece of bone from her skull in order to give access to the brain and the aneurysm within. This was when Pam Reynolds had her first veridical perception of sound, after which she underwent an out-of-body experience where she saw the surgeon and the pneumatic saw. She repoirted this to Dr Sabom as awakening to the sound of a "natural D" and leaving her body. Then Pam Reynolds reported her second veridical sound perception. These are two very distinct sounds, whose origin lies in the structure of the saw and the way a neurosurgeon removes a piece of skull to get at the brain within. A brief glace at the drawing of the saw attachment of the Midas Rex Instrument reveals thast this cannot be used to open a skull. This is a type of fret-saw that must be introduced into a starting hole in the skull. The saw is introduced through the starting hole, the L-shaped foot is held against the inner surface of the skull, and the saw is then used to cut apiece of skull. This is how the Midas Rex saw and drill are used, and this is illustrated in the video below. In this video, they use Aesculap equipment, but the design and function is almost identical to that of the Midas Rex craniotomy apparatus. Viewing this video, you immediately realize why Pam Reynolds described two veridical sounds. the sound of a drill as used in this video, or of the alternative high speed burr, is very different to that of the sound of a saw. Note that Pam Reynolds was referring to 1991 equipment, and not the more silent modern descendent as used in this video. the sound of the "natural D" was the sound of a high speed burr or drill used to make the initial holes through which to introduce the saw. the vibrating "brrrrr...." was the sound of the saw used to cut the skull open between the burr hole, or holes. How could Pam Reynolds have heard these sounds when her ears were blocked with sound emitting earphones, and supposedly unconscious under anesthesia? The answer is that she was awakened by the vibrations and sound of the drill - very similar to awakening from sleep. This was a classic anesthetic awareness experience while under the influence of high doses of opiates (read about types of anesthetic awareness here). I explained all of this in an extensive article published in the Journal of Near-Death Studies (Woerlee 2011). She was awake, but felt no pain because of the high doses of the morphine-like drug, sufentanil, as well as the nitrous oxide used to prevent her developing high blood prerssure which might have caused her aneurysm to burst, as was described by Dr Spetzler in his 1988 article (see page 870 in the 1988 article of Dr Spetzler). 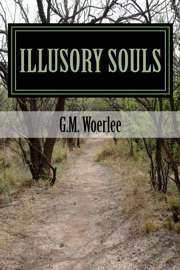 She heard the sounds clearly because these were transmitted through the bones lof her skull. Bone conducted sounds would be heard regardless of how her ears were blocked or obstructed. (read here about bone conduction and the Weber Test). She was not on cardiac bypass at the time of her out of body experience, because the cardiothoracic surgeon was having trouble introducing the cardiac bypass machine tubing into the blood vessels of her right groin - they were too small for the size of the tubing and the blood flow needed for cardiac bypass. So the cardiothoracic surgeon eventually used the blood vessels in her left groin (1). This means that at this time she had a normal body temperature, and the normal responses of a paralyzed person who was supposedly under general anesthesia. And I say "supposedly under general anesthesia", because what she described was a typical period of conscious awareness under general anesthesia. This is something familiar to all anesthesiologists, and is an event that all anesthesiologists try to prevent (see the website on Anesthesia to read about awareness,and the various types of awareness during anesthesia). She felt no pain, but was clearly able to able to hear and describe what happened to her. How was this possible? She felt no pain because of the effects of powerful painkilling drugs. She was unable to move, breathe, or speak, because all the muscles of her body were paralyzed by a muscle paralyzing drug. This was why she was attached to a respirator which performed her breathing through a tube inserted into her windpipe. She was conscious because the concentrations of drugs used to keep her unconscious were quite evidently insufficient to do so. The combined effects of these anesthetic drugs caused her to be calm and indifferent, as well as removing any pain from the operation. Furthermore, together with the vibrations of the saw, they caused her to have an out-of-body experience. The high dose of sufentanil, together with the effects of the nitrous oxide used to maintain general anesthesia considerably altered her mental function. This is demonstrated by her thinking she should hhave told the surgeon about the small blood vessels in her right groin before the operation. This is truly weird. I don't know the sizes of the blood vessels in my groins, and I certainly don't expect other people do either. Together with the fact she felt no pain from the operation, this is one of the most obvious examples revealing how the anesthetic drugs administered to Pam Reynolds altered her mental function. The neurosurgeon found, as was expected, that the aneurysm was too large to operate safely without profound body cooling and cardiac arrest. The cardiothoracic team inserted cardiac bypass tubing into the already exposed left Femoral artery and vein. The cardiac bypass machine was switched on, and started to lower Pam Reynolds body temperature by pumping her blood through the heat exchanger of the cardiac bypass machine. Even though Pam Reynolds body temperature was lowered at the end of this time period, her heartbeat was normal throughout this period, and she received artificial respiration with a machine. Pam Reynolds body temperature was now 22.8 degrees Celsius, at which time she was definitely unconscious (Fay 1941, Stocks 2004). Even though Pam Reynolds body temperature was low, her heartbeat was normal, and she received artificial respiration with a machine. Pam Reynolds body temperature was now 15.5 degrees Celsius. At this point no more electroencephalogram or VEP's could be detected. Potassium chloride was administered to totally stop the heartbeat and the irregular heart rhythm resulting from her low body temperature. Artificial respiration from the respirator was turned off. The body of Pam was tilted head-up to drain the blood from her head. The neurosurgeon clipped the aneurysm at its neck and excised it. After successful removal of the aneurysm, the cardiac bypass pump was turned on again to start re-warming Pam Reynolds' body. As her body warmed up, the VEP's returned. At a body temperature of 27 degrees Celsius, Pam developed an abnormal and lethal heart rhythm called ventricular fibrillation - a rhythm where the heart just twitches in an uncoordinated manner without pumping blood. If the ventricular fibrillation was allowed to continue, her heart function would be permanently damaged. Even though Pam Reynolds body temperature was low, (27 degrees Celsius), her heartbeat was now normal. Cardiac bypass was used to further re-warm her body, and suuport her circulation, until it was terminated at a body temperature of 32 degrees Celsius [89.6 degrees Fahrenheit]. The various wounds in her head and groin were closed to the accompaniment of music, among which a tune called 'Hotel California' composed and sung by a group called "The Eagles". Pam Reynolds body temperature and heartbeat were slightly below normal throughout this period, (about 32 degrees Celsius), and she received artificial respiration with a machine. My grandmother didn't take me back through the tunnel, or even send me back or ask me to go. She just looked up at me. I expected to go with her, but it was communicated to me that she just didn't think she would do that. My uncle said he would do it. He's the one who took me back through the end of the tunnel. Everything was fine. I did want to go. But then I got to the end of it and saw the thing, my body. I didn't want to get into it.. . . It looked terrible, like a train wreck. It looked like what it was: dead. I believe it was covered. It scared me and I didn't want to look at it. It was communicated to me that it was like jumping into a swimming pool. No problem, just jump right into the swimming pool. I didn't want to, but I guess I was late or something because he [the uncle] pushed me. I felt a definite repelling and at the same time a pulling from the body. The body was pulling and the tunnel was pushing.... It was like diving into a pool of ice water.... It hurt! Was it possible for Pam Reynolds to have been awake, feel being defibrillated with a 100 Joule shock at 27 degrees Celsius, and subsequently hear the music of “Hotel California” at a body temperature of 32 degrees Celsius? Most people are unconscious at 27 degrees Celsius, but a few people do retain consciousness at temperatures as low as 23 degrees Celsius (see Fay-1941 and Roser-2011). This means it was possible for Pam Reynolds to have been awake during her defibrillation, and while hearing the music of “Hotel California”! This brings us back to her account in “Light & Death”. Pam Reynolds did not report departing from her body between the return to her body, and hearing the music. So her report on pages 46-47 of the book “Light & Death” clearly indicate her conscious mind was within her body when she heard this music. This means she was conscious within her body at this time. She felt no pain from the surgical manipulations, and she could hear what was happening about her. She heard the music of "Hotel California" played and sung by "The Eagles" which had reached the line, "You can check out anytime you like, but you can never leave." A curious coincidence, and very appropriate, because she was still paralyzed by a muscle paralyzing drug at the time. So she still could not move, breathe, or talk - even had she tried to do so. She was indeed locked inside her body - she could not leave. Furthermore, she could not talk because of the muscle paralysis, and the tube passed through her windpipe and attached to the respirator. This is a CLASSIC case of UNINTENTIONAL ANESTHETIC AWARENESS (click here to read the explanation of how this is possible). And then she lost consciousness again until she awoke later in the intensive care. But how was it possible for her to have heard this music? There are two possibilities. Because the operation on her brainstem was finished, there was no further necessity to monitor the BAEP to determine the integrity of the nerves going to her brainstem. So it is very possible this monitoring had been terminated, which means no more clicking sounds and white noise were administered to her ears at the time. This is a very likely and logical possibility, although the report of her case by Dr. Sabom does not reveal this. Termination of the clicking sounds would make it just that much easier for her to hear the music during her evident period of unintentional awareness. She was within her body, so unintentional anesthetic awareness is the only way she could have heard this music. Her physicians and the nurses acted appropriately for the situation of unexpected anesthetic awareness. They took her story seriously, and admitted the reality of her observations. They may even have shown photos of ther instruments, or the actual instruments, to make it clear what she heard. She remembered all these things, and combined them into a story she reported to Michael Sabom during 1994. This is another way she could have learned of the appearances of the instruments. Pam Reynolds body temperature was now a normal 37 degrees Celsius. Pam was brought into the ICU while still under general anesthesia. Pam Reynolds body temperature and heartbeat were normal throughout this period, and she received artificial respiration with a machine. When she was able to breathe normally again without assistance, the respirator was turned off, and the respirator tube (endotracheal tube) was removed from her windpipe and larynx. Only after she awoke, only after she was able to breathe normally for herself again, and only after the respirator tubing had been removed, was she able to talk and tell of her experience. Popular belief has it that the experiences of Pam Reynolds all occurred during her period of hypothermic cardiac arrest. But when one looks carefully at the timeline of her experience, one can only conclude that the experiences of Pam Reynolds did not occur during her period of hypothermic cardiac arrest. Moreover, people are simply unconscious below a body temperature of 26 degrees Celsius (see article by Phillips 2008), and while unconscious a person can have no conscious experiences such as a near-death experience, out-of-body experience, or any other type of dream, hallucination, or conscious experience for that matter. This means that Pam Reynolds near-death experience of the vortex, meeting relatives etc, occurred during a period of awareness either before, or after she was unconscious due to cooling of her body. Pam Reynolds had a near-death experience during which she fell into a dark vortex to enter a transcendental world where she was met by her deceased relatives in some transcendental universe. Her initial experience of falling into a dark vortex was very likely due to rapid onset of profound muscle relaxation as she descended into unconsciousness during the period of rapid cooling of her body. This is a sensation very similar to the falling sensation people sometimes experience in the period just between awake and falling asleep (click here for explanation of this phenomenon). Her subsequent near-death experience was one with elements typically reported by persons expecting to undergo a potentially lethal event click here to read what Bruce Greyson wrote about expectation and type of NDE). 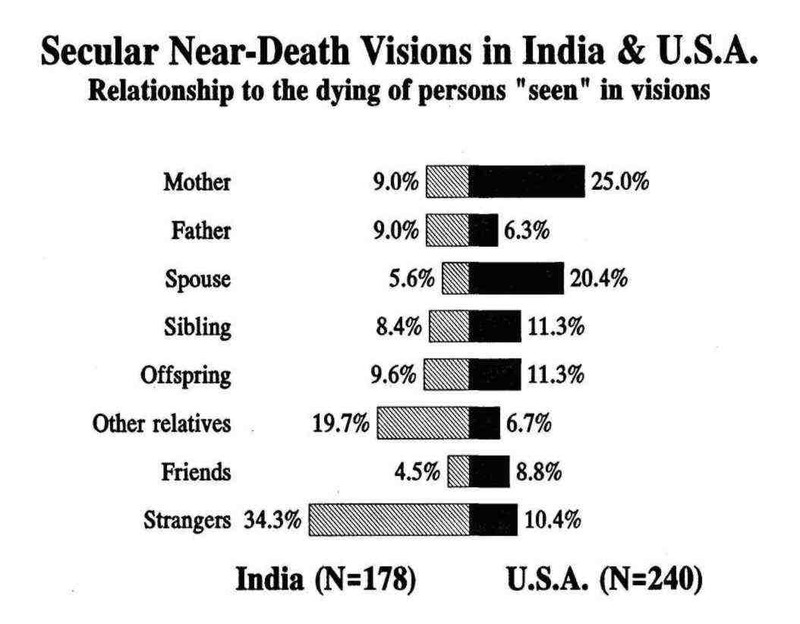 Data for charts from: Greyson B, (1985), A typology of near-death experiences.American Journal of Psychiatry, 142: 967-969. This is why she had a near-death experience with affective and transcendental components, where she entered a transcendental world to meet other deceased persons who acted as guides or mentors in this world. Typically, as a person born and raised in the USA, she saw her deceased close family members, encountered a barrier, and returned to her body. 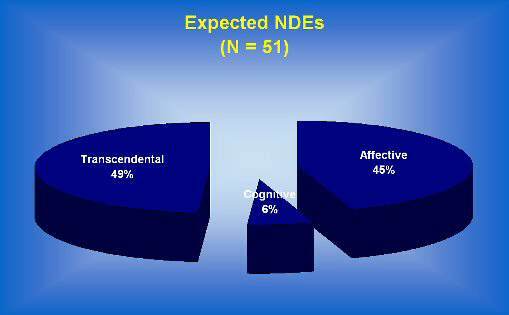 So her experience is exactly what you would expect from a person with her background in the USA (click here to read how Osis and Haraldsson determined how culture determines NDE content). Data for chart from: At the Hour of Death, by K. Osis & E. Haraldsson, published by Hastings House, U.S.A., 1986,ISBN 0-8038-9279-9. Experiences like this do not have to last a long time. They sometimes only last seconds, even though the person themselves feel as if they last a long time. This is a typical difference between subjective experience and objective observation. And in this part of Pam Reynolds experience, we have no features enabling the duration of the experience to be determined. These things explain most aspects of the wondrous near death experience of Pam Reynolds. All this means that the experience of Pam Reynolds was not a product of an immaterial soul, or immaterial mind, which can exist for eternity separately from her body. Instead, her experience was a product of anesthetic drugs, abnormal interpretations of bodily sensations, together with a perception of personal imminent death all causing her body to function in such a way that she underwent a series of truly wondrous experiences. And they were wondrous experiences, even though they were products of abnormal body function. They possibly confirmed her vision of the world, possibly even gave her a new vision of the world, possibly even gave her a reason for existence. To her, and to others, these experience were significant. This is also true, for they are powerful and wonderful demonstrations of the functioning of the human body - demonstrations of the true nature of our being. Light & Death. By M. Sabom, published by Zondervan Publishing House, USA, 1998, ISBN 0-310-21992-2. 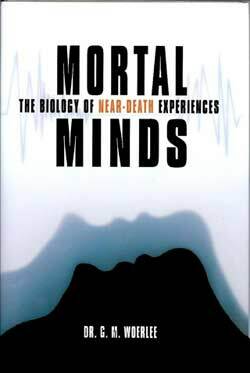 Mortal Minds, by G.M. Woerlee, chapters 10, 11, 12. Woerlee GM, (2004), Pam Reynolds: Ein Nahtodeserlebnis aus der Sicht eines An�sthesisten. Skeptiker, 4: 144-150. Woerlee GM, (2005), An anaesthesiologist examines the Pam Reynolds story; Part 1: Background considerations. The Skeptic vol 18, nr 1. Woerlee GM, (2005), An Anaesthesiologist Examines the Pam Reynolds Story; Part 2: The Experience. The Skeptic vol 18, nr 2. Woerlee GM, (2011), Could Pam Reynolds Hear? A New Investigation into the Possibility of Hearing During this Famous Near-Death Experience. Journal of Near-Death Studies, 30: 3-25.